Swedish researchers found that combining CoQ10 with selenium lowered cardiovascular mortality risk by 49% and dramatically reduced hospital stays. CoQ10 and selenium are popular supplements, and this new study reveals the importance of obtaining both these nutrients to protect against today’s number one killer. 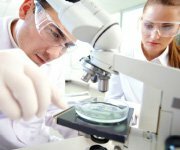 Cardiovascular disease is the leading cause of death both globally and in the US.5,6 It kills more than 17 million people worldwide every year5—more than all forms of cancer combined.7 The exciting news is that supplementing with CoQ10 and selenium could be an important lifesaving combination for protecting against cardiovascular mortality. Researchers from Sweden conducted a double-blind, placebo-controlled study that included 443 healthy adults between 70 and 88 years old.1 The participants received either a placebo or a combination of 200 mg a day of CoQ10 and 200 mcg a day of selenium tablets. This initial study established that supplementing with these two nutrients could cut the cardiovascular death rate by more than 50%, while improving heart function and significantly reducing the risk of further cardiovascular disease in the survivors. 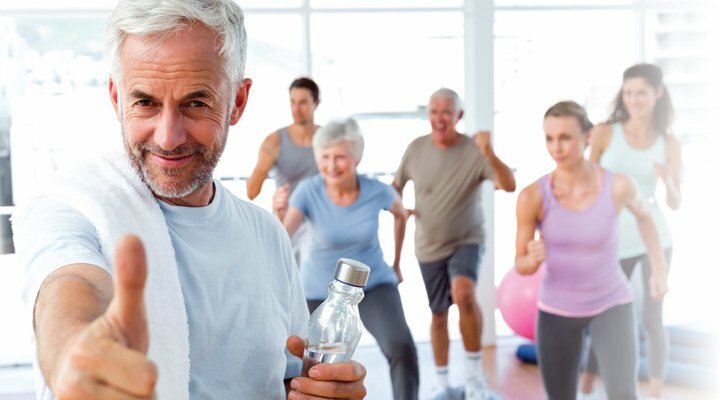 The same research team conducted a number of follow-up studies that demonstrated the unique cardiovascular benefits of combined CoQ10 and selenium. Let’s take a look at these studies. The goal in extending lifespan is to not just live longer, but to live better. In fact, most aging individuals will tell you that their quality of life is more important than simply extending lifespan. A further analysis from the initial Swedish study reveals perhaps the most surprising finding from this major study which was that CoQ10 and selenium were still effective at reducing cardiovascular deaths 10 years after the start of the study.4 This means that CoQ10 and selenium continued to extend their life-saving benefits years after the participants stopped taking the supplements! At the ten-year mark, the risk of dying from any cardiovascular cause (heart attack, stroke, congestive heart failure, and others) was 49% lower in those who had originally received supplementation, compared with those who had not.4 This effect was evenly divided across the various forms of heart disease, including ischemic heart disease and in those with diabetes. Both men and women in the study experienced the same degree of protection. All told, the data from this landmark study demonstrate that 4 years of supplementation with CoQ10 and selenium reduces the risk of dying from heart disease, reduces the risk of developing heart disease to begin with, and helps preserve the quality of life in the process. CoQ10 has a long history of use in boosting cellular energy levels and making mitochondria more efficient at releasing energy from chemical bonds in molecules from food. Selenium is an essential cofactor for many of the enzymes in our natural cellular free radical scavenging systems. Studies now show that CoQ10 and selenium have effects that help protect against tissue-damaging oxidative stress. 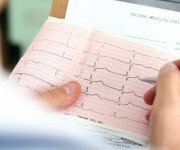 A series of new human studies from Europe shows that the combination of CoQ10 and selenium supplements reduce heart disease risk and improve quality of life. While we can’t avoid oxidative stress, we can take proactive steps to combat it. That’s where CoQ10 comes in. CoQ10 reduces the oxidative stress, minimizes the damage to fragile mitochondria, and helps generate new mitochondria.18-20 All of this adds up to a more “fuel-efficient” body that is better equipped to carry out its necessary functions. This is especially important for the heart, which requires a tremendous amount of energy in order to function properly. But just as we need ample selenium to produce and accumulate CoQ10, we also need ample CoQ10 to make the selenocysteine-containing enzymes.4 Thus, there appears to be an important reciprocal relationship between CoQ10 and selenium. Utilizing this combination of nutrients is especially important for aging individuals, whose CoQ10 and selenium levels fall so rapidly. And as the initial and follow-up Swedish studies have so clearly shown, using both supplements together provides powerful protection against cardiovascular disease. Many readers of this magazine have been getting at least the equivalent of 200 mg of ubiquinone CoQ10 in each 100 mg capsule of ubiquinol28,29 they take. A properly formulated multi-nutrient supplement usually provides 200 mcg of selenium in each daily dose. We have long known that supplementation with CoQ10 is an effective means of making our mitochondrial energy-releasing processes operate more efficiently and with less stress to cellular structures. And selenium plays an important role in powering enzyme systems that clean up the damage caused by oxidative stress. 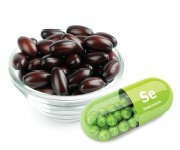 A large European study has now demonstrated that CoQ10 and selenium supplements work together to enhance cellular function in ways that translate directly into improved human health. Compared to placebo recipients, aging adults who supplemented with the nutrient combination experienced lower rates of cardiovascular death, fewer days in hospitals, and improved quality of life—and those benefits far outlasted the duration of the supplement period. In fact, the studies presented make for a compelling argument that the dual CoQ10 plus selenium regimen may provide significant protection against the number one cause of death. Long-time readers of Life ExtensionMagazine® have mostly been obtaining these potencies of CoQ10 and selenium as part of their daily supplement program. It’s refreshing to see that the benefits of these nutrients may exceed original findings that evaluated them in isolation rather than in combination. Alehagen U, Johansson P, Bjornstedt M, et al. Cardiovascular mortality and N-terminal-proBNP reduced after combined selenium and coenzyme Q10 supplementation: a 5-year prospective randomized double-blind placebo-controlled trial among elderly Swedish citizens. Int J Cardiol. 2013;167(5):1860-6. Witte KK, Nikitin NP, Parker AC, et al. The effect of micronutrient supplementation on quality-of-life and left ventricular function in elderly patients with chronic heart failure. Eur Heart J. 2005;26(21):2238-44. Johansson P, Dahlstrom O, Dahlstrom U, et al. 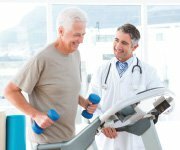 Improved Health-Related Quality of Life, and More Days out of Hospital with Supplementation with Selenium and Coenzyme Q10 Combined. Results from a Double Blind, Placebo-Controlled Prospective Study. 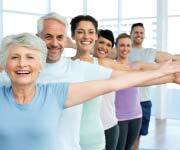 J Nutr Health Aging. 2015;19(9):870-7. Alehagen U, Aaseth J, Johansson P. Reduced Cardiovascular Mortality 10 Years after Supplementation with Selenium and Coenzyme Q10 for Four Years: Follow-Up Results of a Prospective Randomized Double-Blind Placebo-Controlled Trial in Elderly Citizens. PLoS ONE. 2015;10(12):e0141641. Available at: http://www.who.int/mediacentre/factsheets/fs317/en/. Accessed July 6, 2016. Available at: http://www.cdc.gov/heartdisease/statistics.htm. Accessed July 6, 2016. Available at: http://www.theheartfoundation.org/heart-disease-facts/heart-disease-statistics/. Accessed July 6, 2016. Johansson P, Dahlstrom O, Dahlstrom U, et al. Effect of selenium and Q10 on the cardiac biomarker NT-proBNP. Scand Cardiovasc J. 2013;47(5):281-8. Lee BJ, Huang YC, Chen SJ, et al. Coenzyme Q10 supplementation reduces oxidative stress and increases antioxidant enzyme activity in patients with coronary artery disease. Nutrition. 2012;28(3): 250-5. Turker Y, Naziroglu M, Gumral N, et al. Selenium and L-carnitine reduce oxidative stress in the heart of rat induced by 2.45-GHz radiation from wireless devices. Biol Trace Elem Res. 2011;143(3):1640-50. Alehagen U, Lindstedt G, Eriksson H, et al. Utility of the amino-terminal fragment of pro-brain natriuretic peptide in plasma for the evaluation of cardiac dysfunction in elderly patients in primary health care. Clin Chem. 2003;49(8):1337-46. Dhalla NS, Temsah RM, Netticadan T. Role of oxidative stress in cardiovascular diseases. J Hypertens. 2000;18(6):655-73. Schnabel R, Blankenberg S. Oxidative Stress in Cardiovascular Disease. Circulation. 2007;116(12):1338-40. He F, Zuo L. Redox Roles of Reactive Oxygen Species in Cardiovascular Diseases. Int J Mol Sci. 2015;16(11):27770-80. Szeto HH. Mitochondria-targeted peptide antioxidants: novel neuroprotective agents. Aaps j. 2006;8(3):E521-31. Head E, Nukala VN, Fenoglio KA, et al. Effects of age, dietary, and behavioral enrichment on brain mitochondria in a canine model of human aging. Exp Neurol. 2009;220(1):171-6. Boveris A, Navarro A. Brain mitochondrial dysfunction in aging. IUBMB Life. 2008;60(5):308-14. Sohal RS, Forster MJ. Coenzyme Q, oxidative stress and aging. Mitochondrion. 2007;7 Suppl:S103-11. Cordero MD, Cotan D, del-Pozo-Martin Y, et al. Oral coenzyme Q10 supplementation improves clinical symptoms and recovers pathologic alterations in blood mononuclear cells in a fibromyalgia patient. Nutrition. 2012;28(11-12):1200-3. Wolters M, Hahn A. Plasma ubiquinone status and response to six-month supplementation combined with multivitamins in healthy elderly women–results of a randomized, double-blind, placebo-controlled study. Int J Vitam Nutr Res. 2003;73(3):207-14. Vadhanavikit S, Ganther HE. Selenium deficiency and decreased coenzyme Q levels. Mol Aspects Med. 1994;15 Suppl:s103-7. Xia L, Nordman T, Olsson JM, et al. The mammalian cytosolic selenoenzyme thioredoxin reductase reduces ubiquinone. A novel mechanism for defense against oxidative stress. J Biol Chem. 2003;278(4):2141-6. Garcia-Corzo L, Luna-Sanchez M, Doerrier C, et al. Ubiquinol-10 ameliorates mitochondrial encephalopathy associated with CoQ deficiency. Biochim Biophys Acta. 2014;1842(7):893-901. Failla ML, Chitchumroonchokchai C, Aoki F. Increased bioavailability of ubiquinol compared to that of ubiquinone is due to more efficient micellarization during digestion and greater GSH-dependent uptake and basolateral secretion by Caco-2 cells. J Agric Food Chem. 2014;62(29):7174-82. Langsjoen PH, Langsjoen AM. Comparison study of plasma coenzyme Q10 levels in healthy subjects supplemented with ubiquinol versus ubiquinone. Clin Pharmacol Drug Dev. 2014;3(1):13-7. Hosoe K, Kitano M, Kishida H, et al. Study on safety and bioavailability of ubiquinol (Kaneka QH) after single and 4-week multiple oral administration to healthy volunteers. Regul Toxicol Pharmacol. 2007;47(1):19-28.